Bardons & Oliver are builders of rotating/rotary head cutoff machines that deliver increased productivity and promote lean manufacturing for a broad range of applications. Automated processes mean reduced labor, less downtime and fewer operations. Each of our rotating head cutoff systems offers unique features customized for your specific applications. 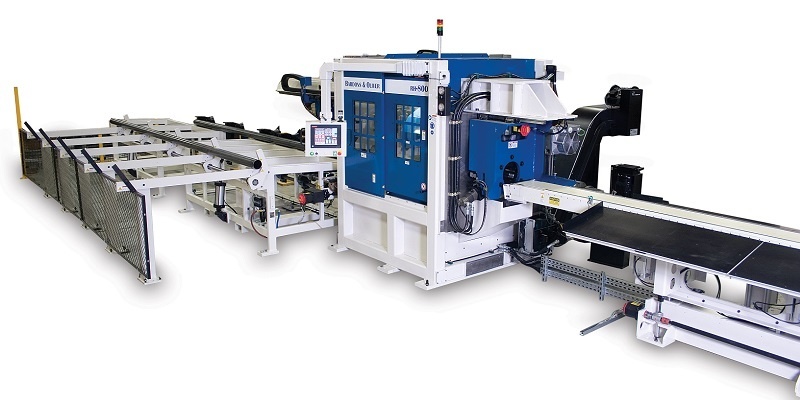 Bardons & Oliver’s RH-Flex Line provides flexible solutions for your tube cutting and end finishing production needs—raw materials become finished parts in one process. Automatic tube end finishing is accomplished without the need for secondary equipment, dedicated tooling or long, complex setups. When you need O.D. and I.D. 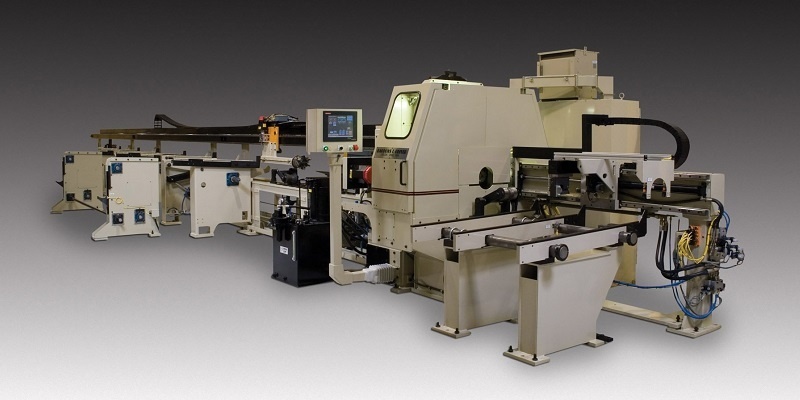 chamfering and counterboring, bevels, “J” grooves or other end finishing, the Bardons & Oliver RH-Flex Line rotating head cutoff machines are your solution. Quick setup and size changeovers within minutes saves processing time. The operator panel (HDMI) includes custom interface screens that control all machine adjustments. Workholding is controlled hydraulically with linear transducer feedback. Cutting tool slides, vises and material handling are positioned using digital servos for ultimate flexibility. If high-volume tube cutting is your goal, the Bardons & Oliver RH High-Production Rotating Head Cutoff Series is your solution. These machines deliver increased tube processing capacity and productivity for high-volume operations. As an added benefit, our rotary head machines hold tight tolerances for higher material yield to satisfy even your most demanding customer. Our RH High-Production Series offers solutions for thin- or heavy-wall tube processing. Parallel closing collet chucks are used to firmly grip incoming tubes during cutting. Size changeovers can be accomplished within 20 minutes, and using up to four cutting tools simultaneously allows for extremely fast tube recutting. Optional secondary end finishing equipment is available to concurrently chamfer the tube O.D. and I.D. without sacrificing cycle time. All of our machines are backed by Bardons & Oliver’s 125-year tradition of reliable, quality engineered solutions and customer focus. Do you have a challenge for a Bardons & Oliver rotating head cutoff machine? The experts at Bardons & Oliver will work with you to recommend the machine that will solve your most complex challenges.